Join us for FREE screenings of films from the IFI Irish Film Archive. Simply collect your tickets at the IFI Box Office. This month: a series of films showing the service industry at work in Ireland. An animated film promoting the benefits of tourism to the country. 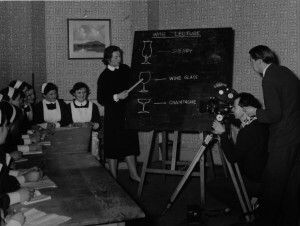 Young women participate in a hotel management course in the Great Northern Hotel, Bundoran, Co. Donegal. series of mishaps when he checks into a badly run hotel. An instructional film directed by Gerard Healy. 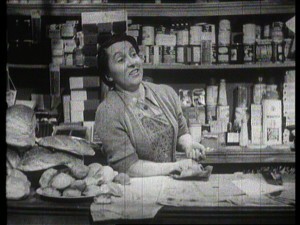 Hilarious instructional film featuring Nora Owens, slovenly owner of a germ-laden shop and restaurant in Dublin’s inner city on the eve of a visit from the health inspector.